We examine so players due to be free agents this summer. 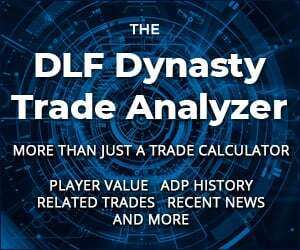 How might their dynasty value change? The good news is there is no off-season for dynasty leaguers. 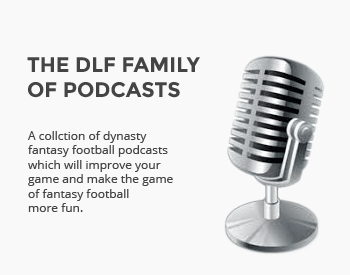 The next few months will be filled with the NFL Combine, free agency, the NFL Draft and more and all of these events will greatly affect player value and dynasty strategy. In this Off-Season Primer series, I’ll make sure you and your dynasty teams are ready for all that might happen by giving you an advance look at players who could be on the move in the upcoming months. The 2019 NFL League Year officially launches on March 13, which includes the beginning of free agency. This class of free agents has already been dismissed as below-average but there are a few gems, especially at the running back position. Here are some of the top players who are scheduled to be available this off-season. A free agent a year ago as well, former Vikings quarterback Teddy Bridgewater signed with the Jets with hopes of starting and found himself the odd man out in a three-way race for the starting job. After the Jets drafted Sam Darnold early in the first round, Bridgewater’s fate was sealed. He was later dealt to the Saints and got a chance to start in the season finale but struggled. Bridgewater won’t have a starting job handed to him but could land in a situation where he has a chance to compete for the gig. He could also opt to stay in New Orleans if both sides feel he has a chance to eventually succeed veteran Drew Brees as the long-term starter. Fitz signed a new one-year deal with the Cardinals. I realize this article was written before it was posted/published but I felt that needed to be pointed out.